Excited for the 4K 144Hz Asus ROG Swift PG27UQ? 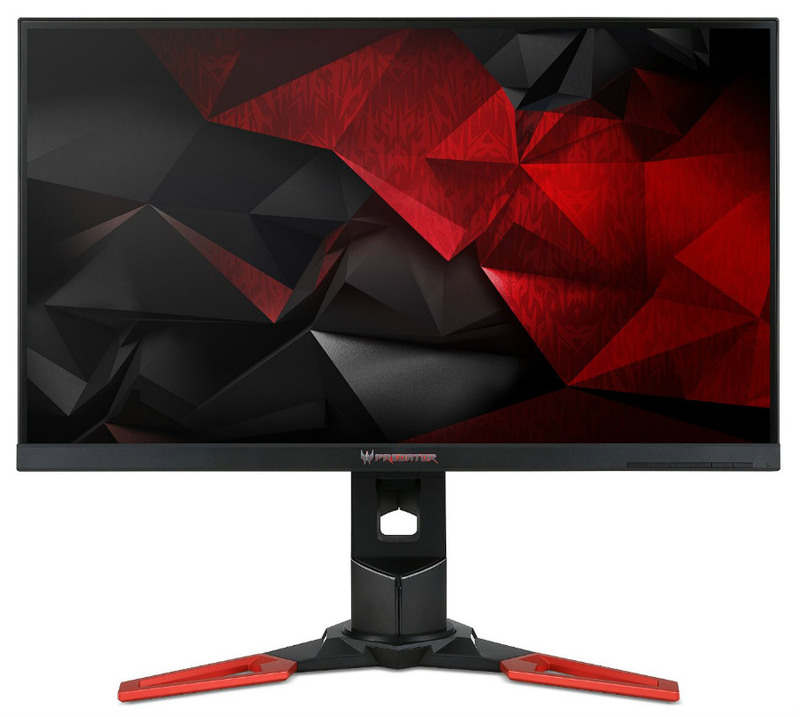 Primarily aimed at enthusiast gamers and professionals, 4K monitors (3840x2160p) are getting more and more popular every day. With developments in IPS and TN panels and the rising competition in the market, these monitors have been becoming more common and more affordable. With new display ports, faster computers, and cheaper gaming monitors, the transition to UHD is now much easier. In this article, we will be describing a series of steps you need to follow to make sure you pick the right kind of 4K display for you. There are two types of 4K displays available in the market today: the 4K digital cinema standard displays that have a resolution of 4096 x 2160 pixels, and the consumer standard Ultra High Definition displays that have a slightly less resolution of 3840×2160 pixels. TV displays on the market use the consumer-standard 4K, however, if you are planning to buy a monitor, both of these options are available. The LG31MU97, for example, has a resolution of 4096 x 2160 pixels. Delivering 8 million pixels to make everything crystal clear and super sharp, 4K displays ensure that all your needs are taken care of, whether they are graphics designing, photo or video editing or immersive gaming. But firstly, you need to decide what you will be using this UHD display for. This will help clear out other things that you need along with the resolution. For example, if your primary use is editing photos or videos, you need to prefer an IPS panel over a TN panel. If on the other hand, if you are a gamer, and you want to game at 4K, the preference needs to be given to adaptive sync support and a low response time over other things. With 4K, you have a clearer and sharper picture as compared to other resolutions. This is the preferred resolution today for photo and video editors, and for gamers who need higher visual feudality. If you shoot and edit 4K however, you will need a 4k or 5K monitor to edit the video natively. This is because with an increase in visualization, comes a corresponding drop in frame rates. And that can reduce your video quality, as you might have to compress them to be a little bit less than the maximum resolution of the display, to get your work done with good speed (and fewer chances of a software crash). So a higher resolution is a good thing to have if you are looking for aesthetics and graphically intensive work. However, the frame rate is equally important with such a high pixel count – so make sure you save up enough for a 60Hz display setup that outputs 4K for the best experience. Having an 8-million pixel virtual workspace is also ideal for professional computing since it provides a substantially bigger area for your apps and media. This advantage allows users to maximize a single screen while also providing deeper or further levels of zoom for minuscule details which are unnoticeable in smaller resolutions. On the other hand, if you are planning to buy any display for gaming (4K included), you need to prioritize Response time, Refresh rate and adaptive sync technology above the rest. The biggest problem with low-cost, early 4K monitors was that they have high input lag results, or worse, 30Hz operation. These limitations are detrimental to gaming because they disconnect the immersive aspect of your title while making the screen jittery. There are outstanding budget 4K options out there, but then again, there are gamer-specific UHD products with technologies such as G-Sync, FreeSync, and more, although they come at a premium price. The best thing about these products is that even if they are expensive, most of the compromises you would have to accept with budget 4K monitors are eliminated. 4K Gaming monitors have proliferated for the past year or two, and even now, 4K 144Hz displays are on their way. The refresh rate is the number of frames drawn from the GPU and displayed by on display per second and response time is the time taken by pixels to change their color from one shade of gray to the other (or from black to white). While gaming, both of these things are equally important, as you are pushing a lot of frames and an insane amount of pixels every second. And if you are doing this at a massive resolution of 3840 x 2160p, you need a 60Hz refresh rate and a low response time to avoid issues like ghosting, screen tearing, and stuttering. For gaming, it’s not recommended that you use a 4K with a refresh rate that is as low as 30Hz. Resolution and Scaling go hand in hand. The higher resolution you have, the number of pixels are mounted on the screen. Setting your screen to a high resolution means that you will have more ‘desktop real estate’ (lots of icons and stuff on the desktop). This is a pro for people who work in editing, design and what not, as these things demand to multitask more than games do. So you might want to go for a 4K IPS display for this sort of work. You need great viewing angles, color accuracy, and sharpness – something a TN panel 4K display, like the Dell P2815Q, will not be ideal at. We recommend 27-inch models as the sweet spot for 4K to avoid eye strain, especially during longer usage times. Up to 32-inches is still excellent, although extra sensitive users sometimes start to complain that the images aren’t as sharp anymore. Users should take note that not all 4K products scale down correctly unless the manufacturer specified that their implementation is equipped to do so. Scaling to 1080p usually does not present issues because it is a direct ratio derivative of UHD, but 1440p will sometimes degrade. A typical sixteen by nine 4K monitor has about 8.3 million pixels. Pushing these many pixels on a screen requires a serious amount of horsepower, especially if you intend to use graphically intensive applications or for gaming. You can use the 4K monitor utilizing the integrated graphics on the latest Intel and AMD processors that are found in desktop PCs and laptops for basic or standard use. However, it is not recommended as it just lacks the power (and often the display connections). Intel also has the NUC (next unit of computing), which is a range of ‘small-form-factor PCs’ that feature Haswell architectures and they can output 4K resolution. However, not all Haswell processors can handle the 4K at the same frame rate. Low power processors (the ‘U class’ processors), like the Intel Core i5 4200U (found in the Intel i5 NUC), are limited to 4K output at 30Hz over a Displayport connection and 24Hz over HDMI connection. Now, this might be an okay thing to get if your objective is watching movies. But for intensive graphic work and gaming, U class processors need to be avoided if at all possible. When we move to ‘M class’ processors like the Intel i7 4700MQ or a full desktop chip like the i5 4670k, 4K at 60Hz is doable. This is simply because of the number of pixels used in these displays. If the refresh rate and the response time ratings are not good enough, problems will occur. When you are spending that kind of money, you need to make sure that you have some longevity out of your arrangement. 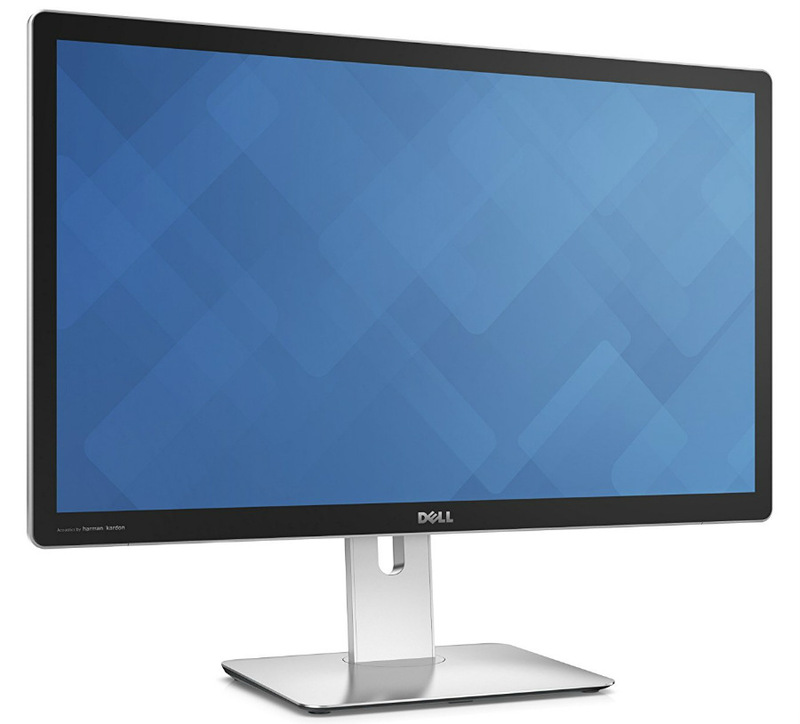 Take the Dell P2815Q for example, which is a 4K TN panel monitor which you can get if you are on a budget. But the problem with that is the low refresh rate on the top of the TN panel that cannot match the viewing angle range and color accuracy of IPS or PLS panels. Gaming with a 4K monitor is still a challenge, even if the Latest Nvidia GeForce cards can now overcome the 60Hz 4K hurdle. Of course, not everybody can afford these top end cards, and nearly every other GPU below these two cannot handle stable a stable 60FPS output. To fully enjoy what a game has to offer in 4K, your system needs to have pretty meaty specs at this point. This fact cements the thought that 4K gaming is still an enthusiast level endeavor, although some practical and wise gamers out there find compromises such as lowering graphic settings or using SLI and Crossfire with two budget cards. When it comes to connectivity, the best thing you can get a 4K monitor today is the HDMI 2.0 port, which is rare these days. The HDMI 2.0 is 4K capable at 60Hz. The most common one is the HDMI 1.4 port that can run 4K at 30Hz (which obviously does not make it the best bet). Then we have the Displayport 1.2 connection, which is also a good bet as it outputs 4K at 60Hz frames per second. Most displays in the market come with HDMI 1.4 or DisplayPort 1.2 (or both) connections. For professional use, it is recommended that you go with a monitor that has the Displayport 1.2 or the HDMI version 2.0. 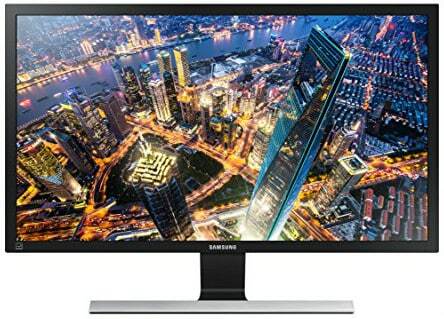 The Samsung U28E590D is one of the cheapest, high-quality UHD screens you can buy for your home and office. The slim and streamlined design with a hint of class disguises the affordable nature of the product, making it a good choice as your PC’s centerpiece. Samsung included premium features such as a Jog button for easy OSD navigation, plus a rich I/O layout you can utilize to your heart’s desire. The Samsung U28E590D comes with gaming pedigree thanks to its FreeSync compatibility which goes hand in hand with the speedy response time of the TN panel. The 28-inch viewing space with 97% gamut should be excellent for your after-hours enjoyment, plus the massive resolution is a godsend for multitasking. 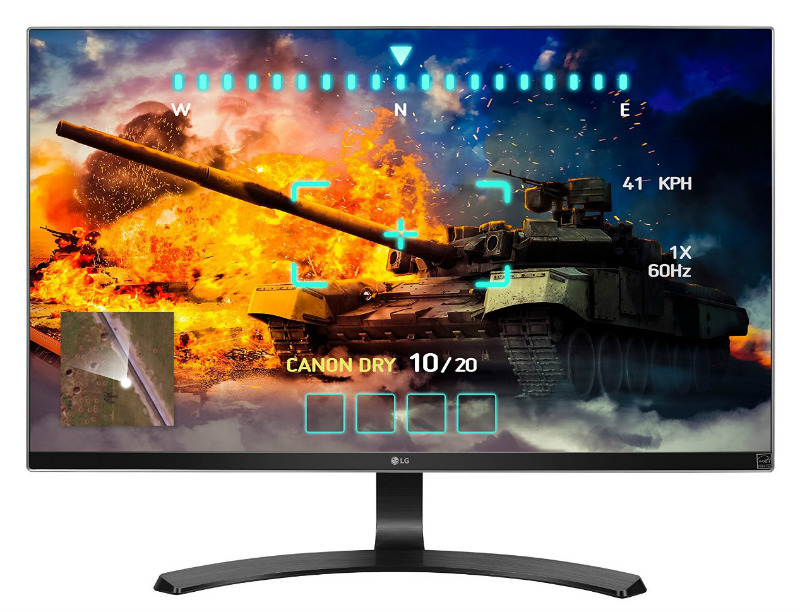 The LG 27UD68-P has been one of our favorite 4K screens here at Monitornerds for its excellence in both gaming and work-related usage. The 10-bit panel with perfect sRGB coverage has great vibrancy and accuracy is incredible for our favorite title’s visual effects and environments, plus it helps designers with color-critical applications. The prominent Korean display company imbued this model with a borderless face and a sleek exterior, making the LG 27UD68-P exude elegance through its aesthetic. Of course, this device is feature-rich with familiar inclusions such as Screen Split 2.0, Dynamic Action Sync, Black Stabilizer, and FreeSync to help the screen produce fantastic and smooth action sequences. The Dell UP2715K technically isn’t a 4K monitor (although it can output 3840 x 2160 quickly), but the ascension to 5K or 5120 x 2880 was difficult to ignore since it sits closer to cinematic resolution standards. This flagship display was meant to compete against Retina Displays with its impressive pixel density of 218PPI, making every grain virtually invisible. The Dell UltraSharp UP2715K is a designer’s dream come true thanks to its perfect coverage of Adobe RGB and sRGB gamuts, making it ideal for creative tasks such as graphic design or photo editing which both require an extensive, but accurate color output. Other premium features such as Harman Kardon Speakers and robust but refined construction you can expect from Dell puts this model ahead of the pack. The ViewSonic XG2700-4K is one of the hidden gems of the 4K market thanks to its factory-calibrated precision which is rare for gamer models. The 27-inch IPS panel only has a 5ms response time, but its 10-bit interface provides 1.07 billion colors to make games much more engrossing. This module has a 25ms input lag rating, but ViewSonic included an Overdrive feature which speeds it up to 11ms which is excellent for a UHD model. 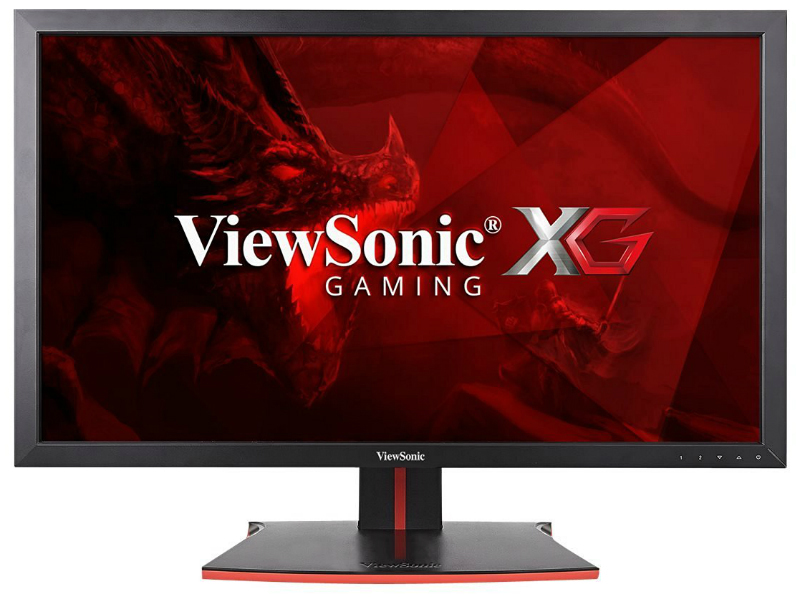 The ViewSonic XG2700-4K may look straightforward and outdated to some, but it is one of the midrange products out there that were built like a tank. The robust exterior doesn’t creak or flex, and the industrial stand provides a suitable range of ergonomics for comfort and convenience. If these aren’t enough, the XG2700-4K comes with FreeSync to cure your 4K graphic woes. 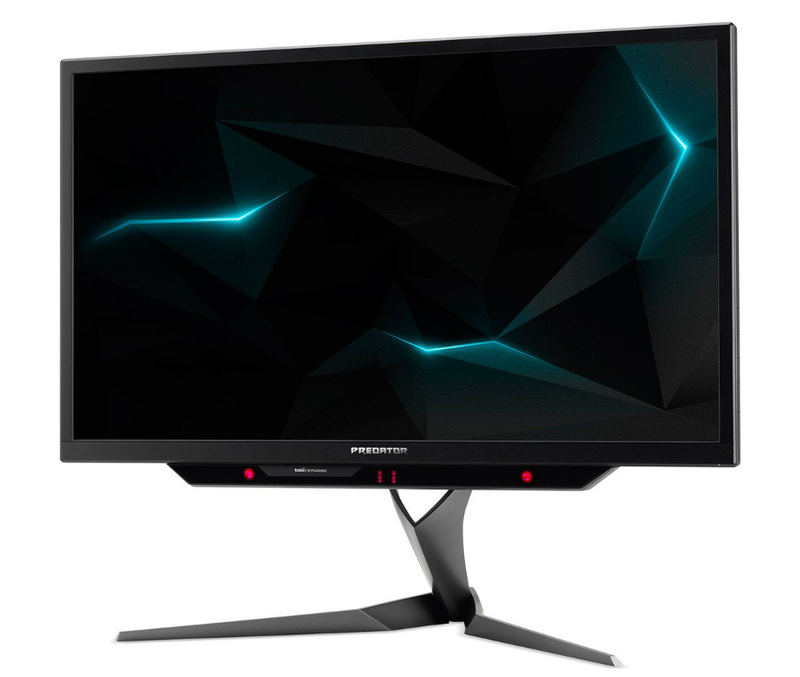 The Acer Predator XB271HK is one of the top of the line models from one of the best-known manufacturers of gaming displays in the market today. The unique, matte black and red scheme with aggressive styling are suitable for most gamer’s tastes. The exterior, however, isn’t all looks since it flexes with ease thanks to its complete range of ergonomics. The 27-inch 4K IPS display on the Acer Predator XB271HK is one of the best in the market thanks to its excellent color accuracy and low input lag performance. The excitement and immersion of games come alive in 4K, although that requires a ton of graphic processing power. Thankfully, the XB271HK can pair seamlessly with Nvidia’s most powerful Pascal GPUs via its G-Sync module which helps to alleviate tears and stutters when frames drop in demanding titles. If you are a creative professional who needs a great amount of detailing and color accuracy, it is a good idea to opt for a 4K resolution. However, you will have to select an IPS panel that also supports a good frame rate and with that, comes the rise in price. Invest in one if you will, and you will have the best in output quality. However, if you are a gamer, opting for a 4K monitor might not necessarily be the best of ideas. 4k and 5K displays are available in the market today at reasonable rates, but the overall gaming experience of a 4K display at 60Hz still cannot match the 27 inch, 144Hz gaming at WQHD (2560×1440p) that a monitor like the ASUS ROG PG278Q provides. If you are a competitive gamer, that might be your best bet. However if your primary concern is aesthetics, 4K gaming will satisfy you as it will meet the needs of an editing professional.